I’m back! Rejoice, rejoice. I had a busy month of work and traveling and sometimes you just can’t find the time (or enough coffee) to help you gather your thoughts into cohesive sentences. 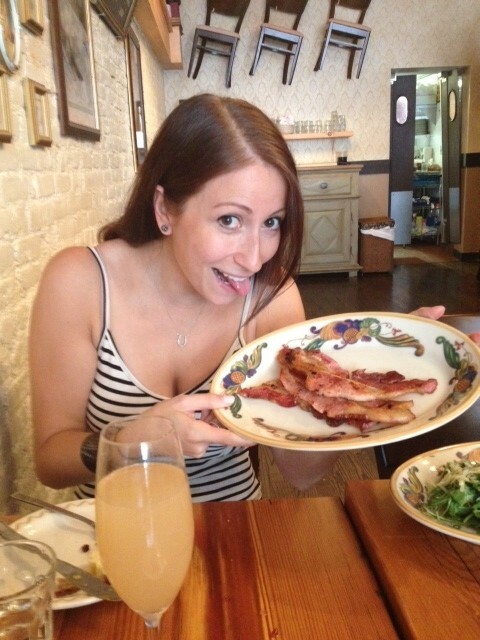 Fortunately I’m back to semi-normal and would like to share my experience with brunch at Old School Brooklyn in Carroll Gardens. Brunch is probably one of my favorite meals and I really only enjoy it at a restaurant. I can get down with a nice bagel spread every now and then at a friends apartment, but I’m sorry, my friends aren’t serving up PB&J french toast. So, yea. Sorry friends. Sorry I’m NOT sorry. Old School Brooklyn makes this and it is WONDERFUL. Me and my friend Matt shared that as an appetizer because we’re two gluttonous people. Brunch is usually an indulgent meal anyway, so why not? 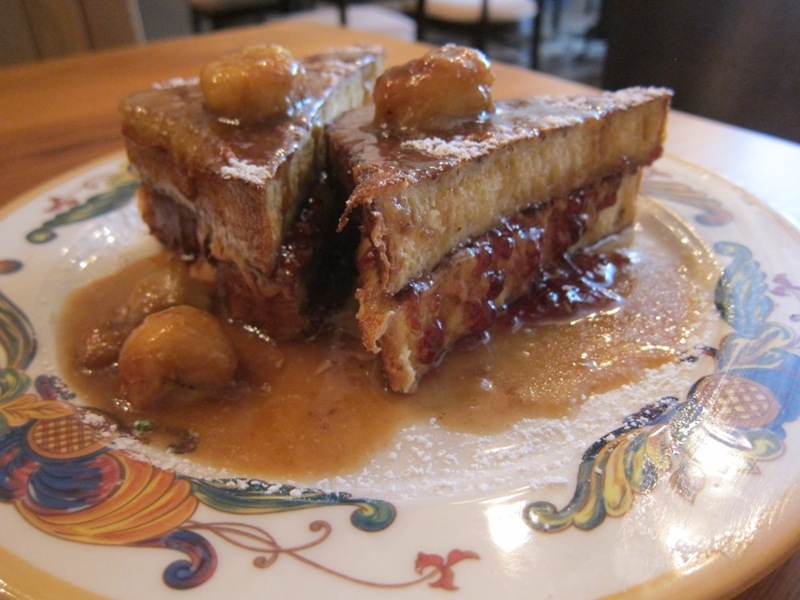 The bread was thick and fluffy, the PB & J was oozing out of the sides, and the syrup on top….oh man. Yea if this isn’t the right way to start the day I don’t know what is. On a slightly less ecstatic note, the Carroll’s Egg Pie could have been better – a frittata with portobello mushrooms, spinach and parmesan cheese. Sounds good right? It was just not all too flavorful. 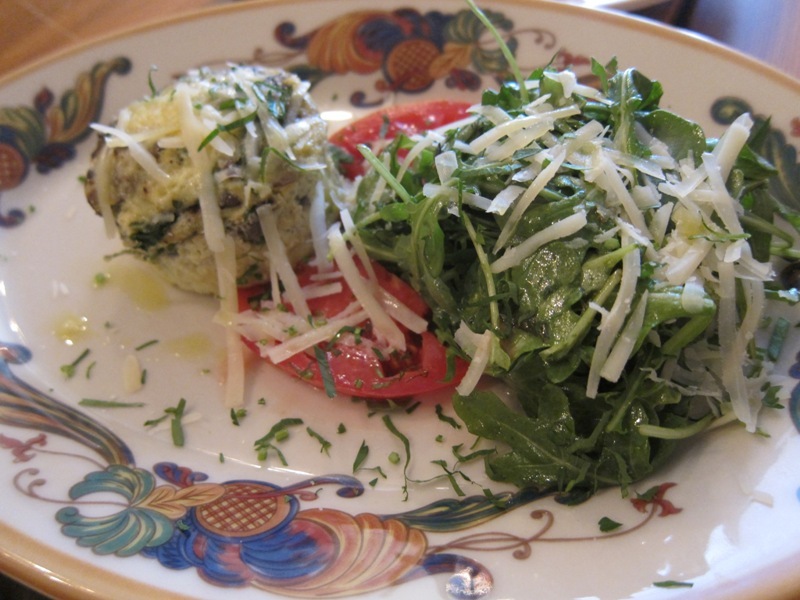 Despite the heavy hand of cheese on top, it just fell a little short in comparison to the other dishes. 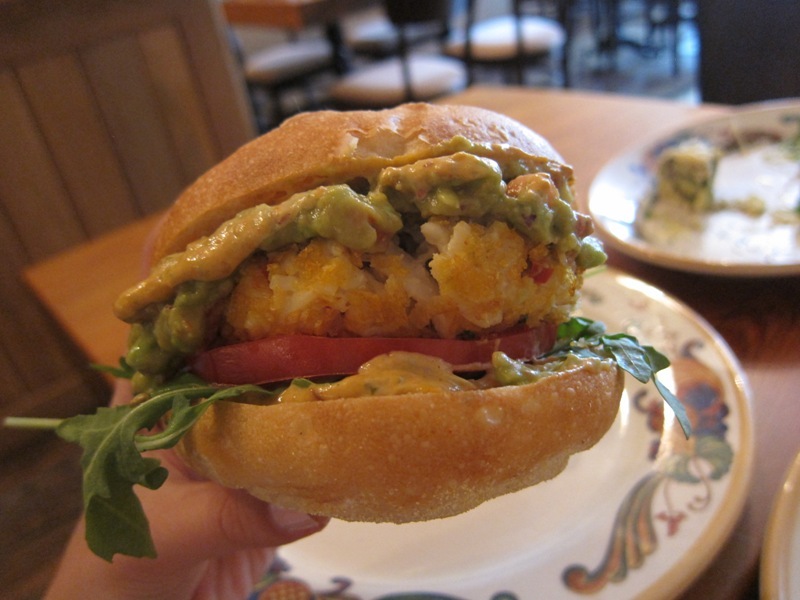 I’d skip this and reach for the Maryland Express instead – a gorgeous, hefty crabcake sandwich topped with spicy avocado aioli, lettuce and tomato. A messy sandwich, I warn you, but so worth it. Ask for extra napkins and you’ll be good to go. Obviously, you need bacon. Well, I need bacon. Every time I go to brunch. So we got a side of bacon and ate it. ALL OF IT. AND IT WAS GOOD. Thick cut, salty, and maybe just a bit too fatty for my taste. I like bacon fried to almost the point of burnt, but it was still delicious even if it was a little hammy. 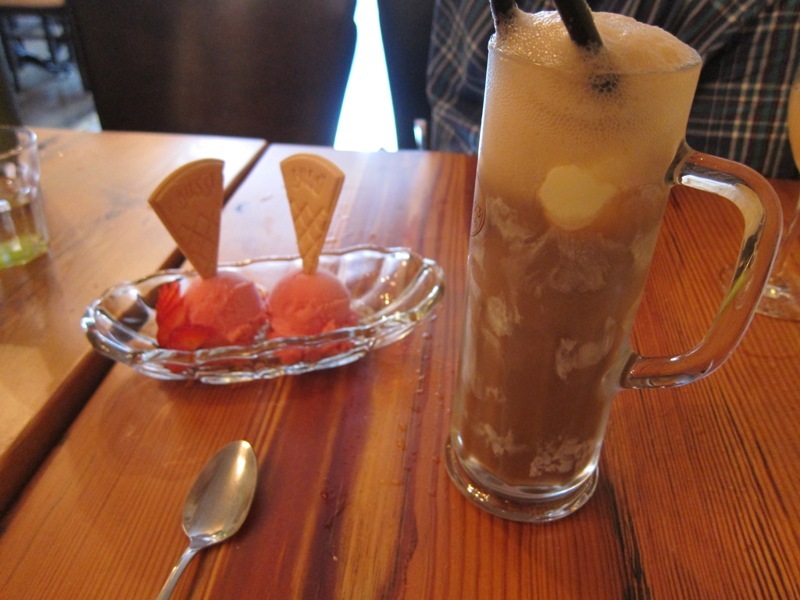 For dessert, we went with the blood orange sorbet (seasonal) and an old school float. When in Old School Brooklyn, do as the Old School Brooklyners do! The sorbet was amazing – light and refreshing with a little citrus tang. And this will make you feel like a kid again: a big scoop of ice cream inside some root beer, served in a tall glass with two spoons, if you like to share. Remember kids, sharing is caring. And that crab cake sandwich is really something. I recently had brunch at Hunter’s on Smith St. and it was da bomb. You should totally try it for your next outing.